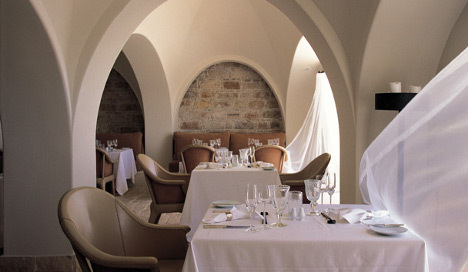 The word Anassa means ‘Queen’ in classical Greek, and the Anassa resort hotel is very much a Queen of its kind. A veritable palace of marble, the classic interiors of this wonderful hotel reflect the history of Cyprus though beautiful Roman Mosaics and Venetian frescoes. The resort is surrounded by its own beautifully peaceful gardens and classically cool courtyards. The Thalassa spa at the Anassa offers many wonderful treatments. You could enjoy a Mediterranean massage treatment on the beach, or you and your partner could partake of the double indulgence massage complete with champagne to accompany it. 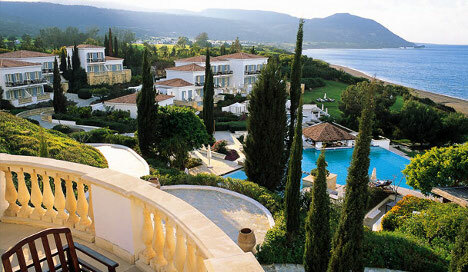 Luxury family holidays here mean that your whole family is taken care of with style. The Anassa’s ‘Baby go lightly’ service lets you pre-order items online before you travel, so you can make sure you’ve arranged everything from a car seat when you transfer from the airport to your hotel, to push chairs, baby baths and even floatation aids. The hotel also provides a crèche for children aged 6mths to 3 years old, and the Smiling Dolphin Club for kids between 4 and 12 years old offers supervised playrooms, activity programmes, lessons in tennis, scuba-diving and water skiing. From this summer they’re also expanding their program to include activities for teenagers as well. For people who wish to sail, there are a number of sailing boats available for hire, including two Lasers, an Optimist and a number of Dart and Hobbiecat catamarans. There are also sailing courses available aimed at all different levels, and as well as hiring the boats for private use, you can also charter them with a skipper too. Anassa has a traditionally recreated village square in the heart of its Byzantine village, and here can be found the peaceful Byzantine chapel of Ayia Athanassia (Saint Athanassia). The chapel, has wonderful bordered paths leading up to it filled with sweet smelling lavender and scarlet bougainvillaea, which make the perfect backdrop for any dream wedding. Attentive, but discreet service, combined with attention to detail will ensure your big day goes exactly as you plan it. The hotel can be arranged with a candle lit dinner for two, or a gala banquet for 100 or more guests. Staying here you’ll find yourself residing in the hotel’s Byzantine village where traditional architecture and complete privacy are combined. You could stay in a guest villa with panoramic sea views, or in a romantic suite of the hotel with its own private plunge pool on a terrace facing the sea. The Adonis suite with its own private whirlpool, or the Alexandros residence which is a villa style suite set over two floors with two bedrooms upstairs each with their own balcony and a fully equipped lounge room below. Which ever room, suite or villa you choose, fine dining, beautiful surroundings, and many facilities will all be yours.